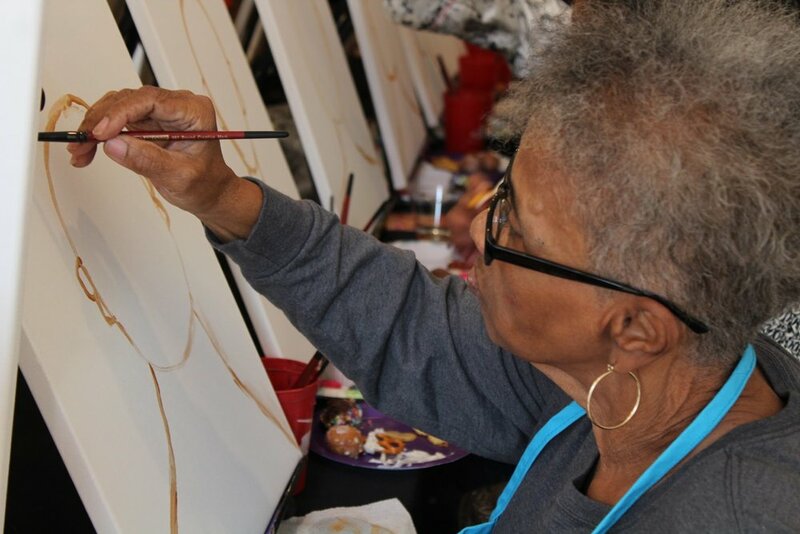 ARTrageous Brush and Flow is conveniently located near the intersection of Washington Lane and Duval Street. We are close to Lincoln Drive and the 23 bus stops in front of our studio. There is ample on-street parking available (no meters after 6 pm or Sunday). 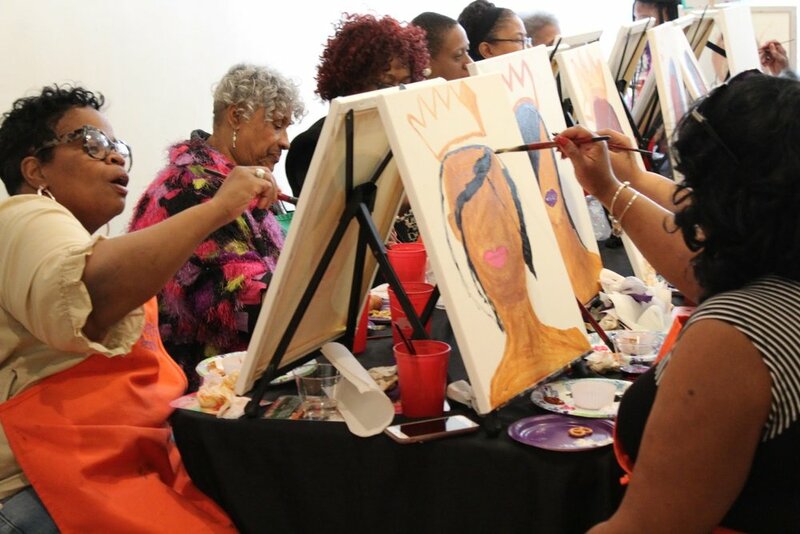 Our spacious art studio is wheel chair accessible and able to accommodate your group of up to 30 guests comfortably. BYOB - Guest are welcome to bring beer & wine to enjoy during our paint events. All alcohol must be contained in original wine or beer bottles but PLEASE no liquor as our studio is not licensed to permit alcoholic beverages beyond wine & beer. Any guest consuming alcohol must be 21 years or older and is encouraged to consume responsibly. Please be prepared to show Identification. Food/Snacks - Yes, of course snacks are allowed! However, please keep in mind that that tables used for art supplies and art work is limited and shared among other guests. Additional tables for buffet style set ups are available for rent upon request. Please no coolers, large containers or serving trays. Pack for a snack, not a sit down dinner. Art Supplies - We have everything you need to create your masterpiece. 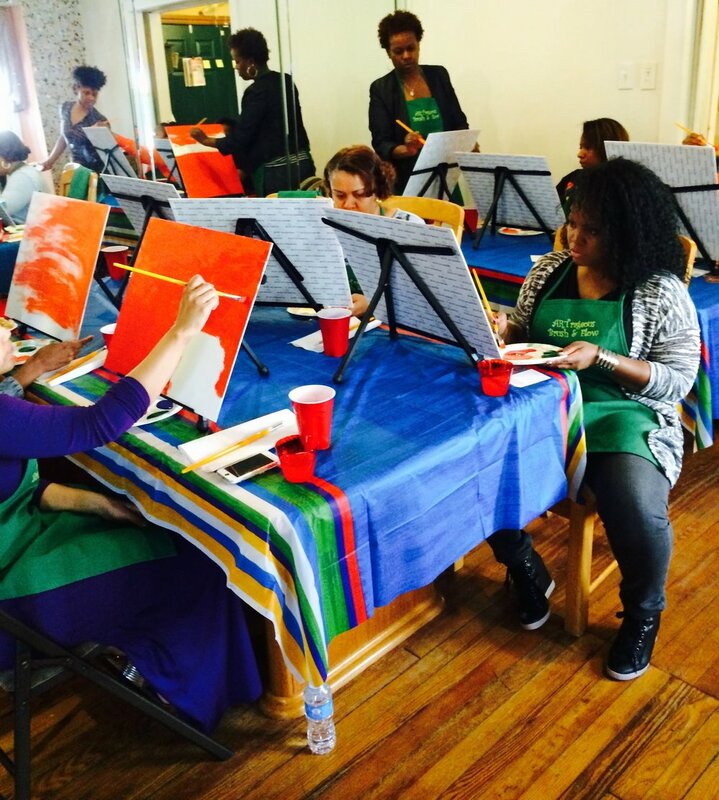 From paint brushes to canvases to aprons, come as you are and let us do the rest. The artwork that you create is a masterpiece that you can take home, showoff and enjoy for years to come. We can't wait to help you celebrate your next special occasion!